Choose either spin-casting or fly fishing for this hard fighting fish. 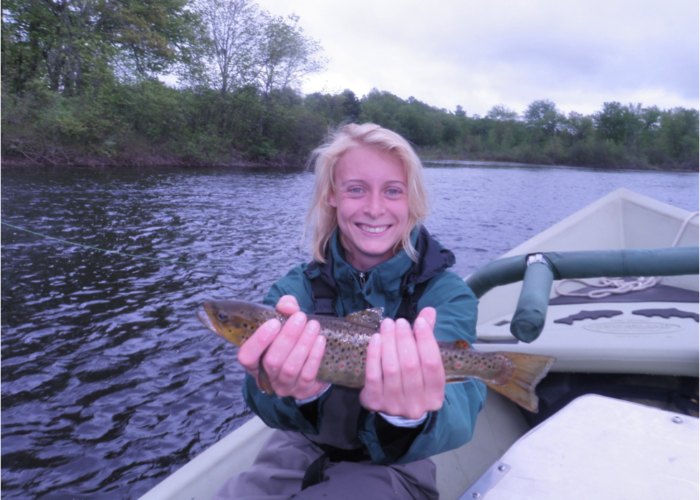 The lakes and rivers we fish provide plenty of action for both the beginner and experienced angler. Like all of our trips, we practice catch and release only. Make sure you bring your camera! 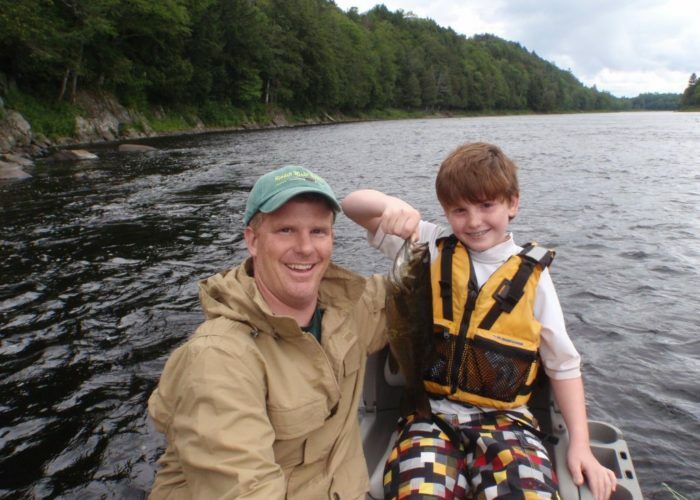 Maine’s Bass Fishing is so good we guarantee you’ll catch fish or the trip is on us – really! 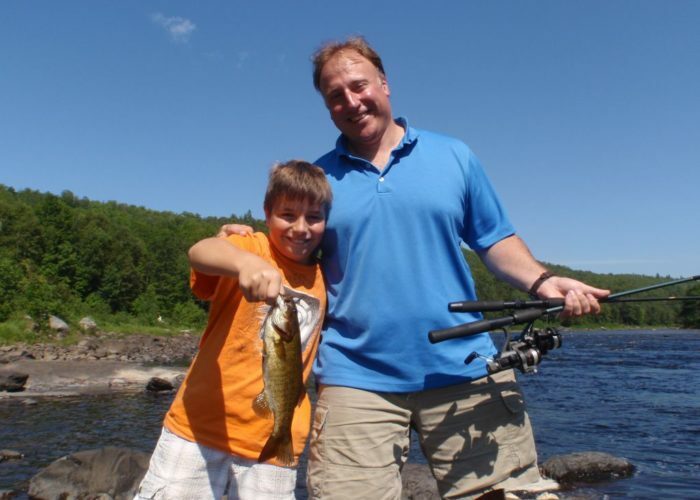 Bass Half Day Fishing Trip: Convenient, Close, & We Always Catch Fish! Half day trips are a float trip down the lower Kennebec River in our fishing rafts, just downstream of Northern Outdoors. Plan to arrive at Northern Outdoors Resort at the appropriate check-in time. 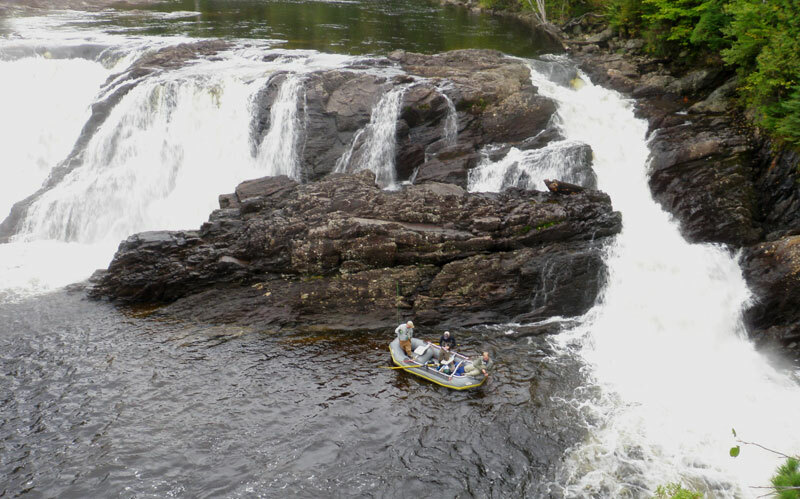 From there, you are transported to Crusher Pool, located just south of Northern Outdoors’ rafting takeout for the Kennebec River whitewater rafting trip. This is below the bridge at The Forks, Maine. A half hour from the time you leave the Resort, you’ll be on the water fishing! You’ll float from Crusher Pool on the Kennebec to Northern Outdoors, or on farther down to Graveyard Pool at Caratunk. Total trip duration is 4 – 4 1/2 hours. At the end of the trip, you’ll be transported back to the Lodge at Northern Outdoors, about 10-15 minutes up the road. 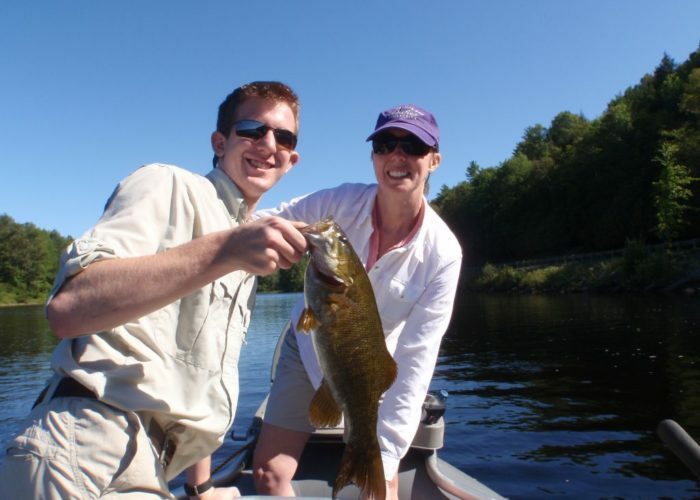 Enjoy the Kennebec River Pub and Brewery at the lodge after your fishing trip, where you’ll find hearty meals and handcrafted ales and lagers.